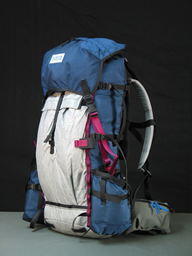 LBP P&G___$895.00 / $795.00 without P&G frame extensions. 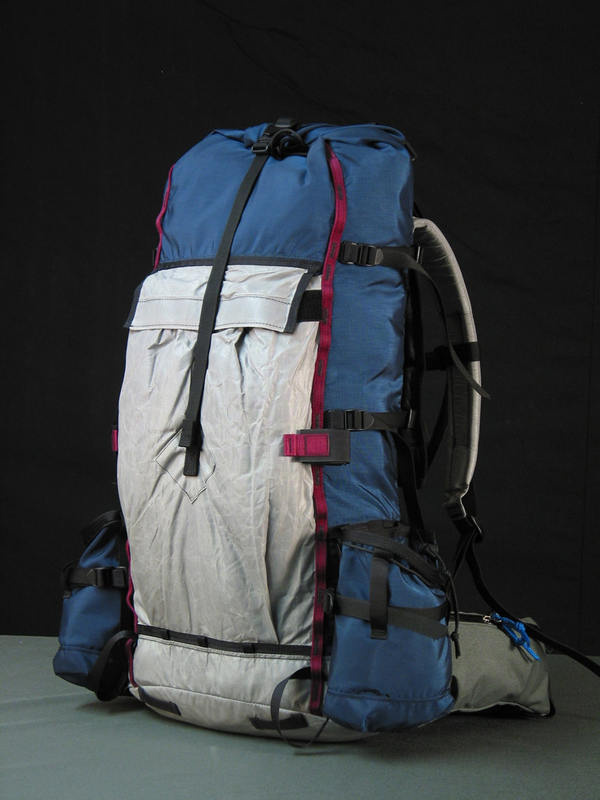 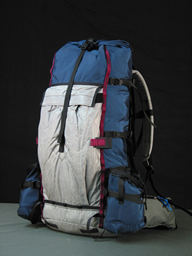 Base price includes a large rear Kangaroo Pocket, 2 large removable water bottle pockets, top pocket hip-pack (brain), single and double roll-top systems, Full Spectra bottom and lower sides, and twin lower adjustable stays of 7075-T6 aluminum. 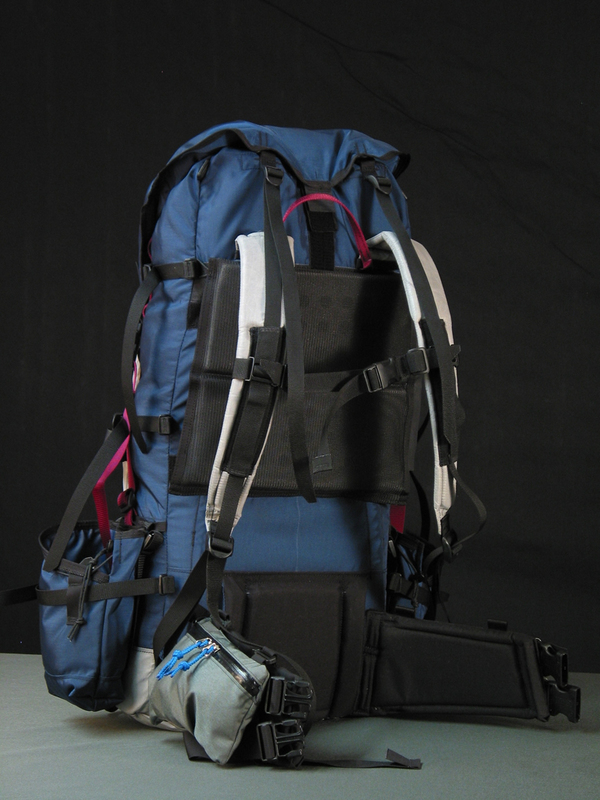 ........ LBPs made completely of Full Spectra: $1,749.00 (does not include accessories). 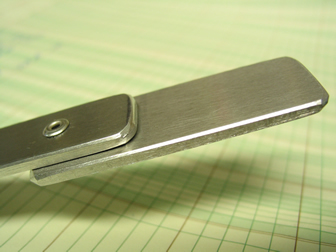 Add $95.00 for P&G Bayonets. 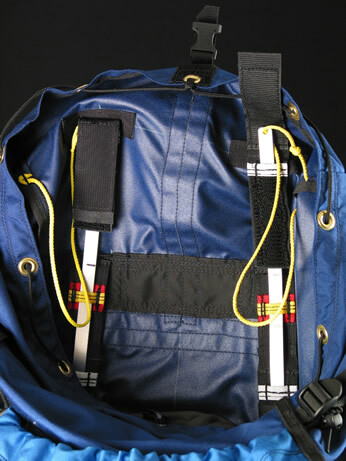 Add $75.00 for Full Spectra Kangaroo or shoulder pads on non-full spectra LBPs. Base price includes all regular fabrics and Spectra 'Grid' fabrics. 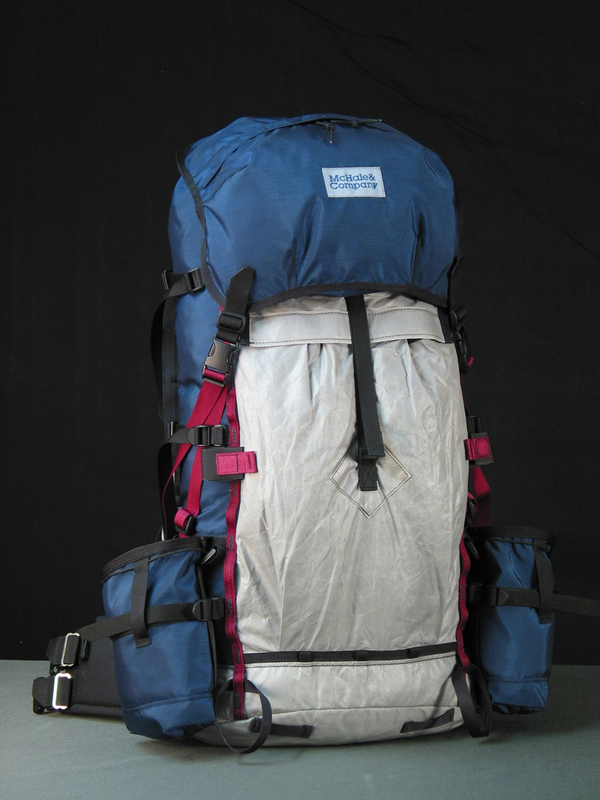 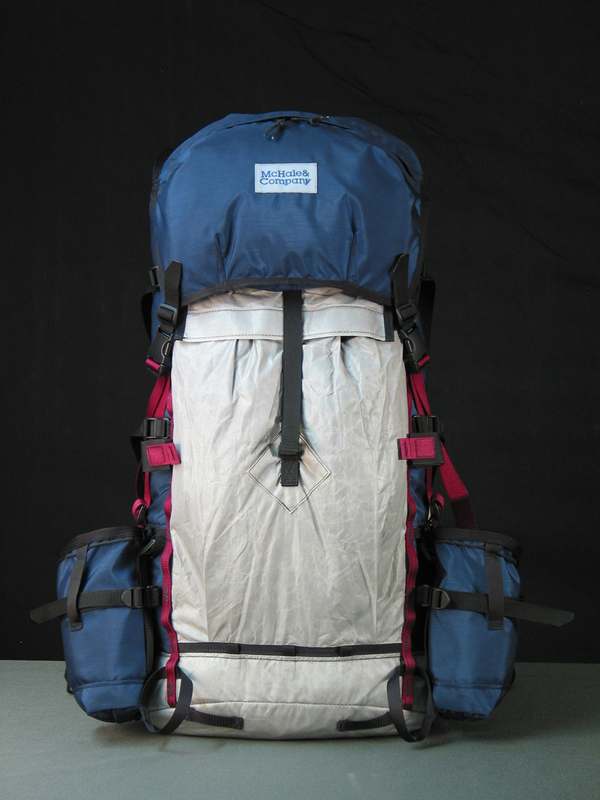 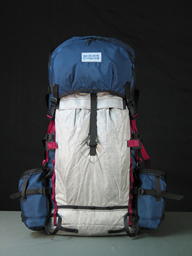 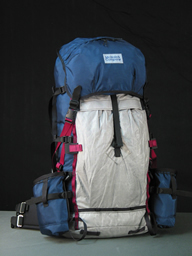 The pack below is made of Navy 500 cordura, Gray Full Spectra. 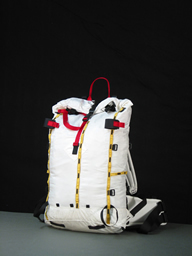 Photos 6 & 7 show the bayonets removed and in the forground of the photo. Photo #9 shows internal detail of the pack. 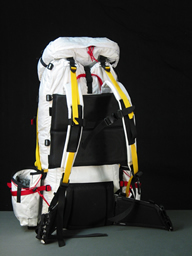 The broad black band of fabric is where the top of the lower main frame ends. At the base of the lower main frame (photo # 10), at the bottom of the pack, is the bottom frame end Q-Bayo adjustment arm that comes with all LBP packs, even those that do not have the P & G option added. 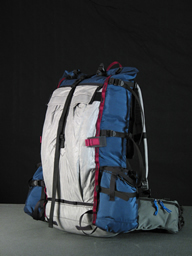 The pack bag actually shortens when the Q-Bayo swivel is shortened, providing a micro adjustment for the pack that on the average is about 1" in length. 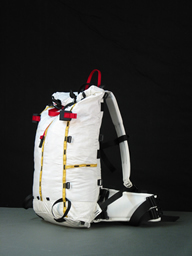 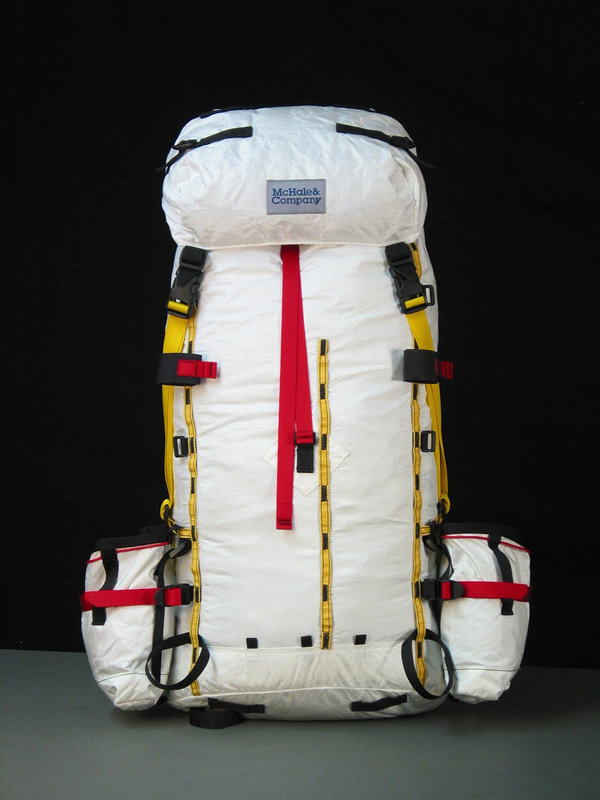 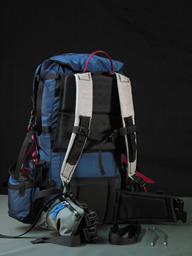 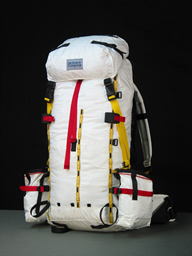 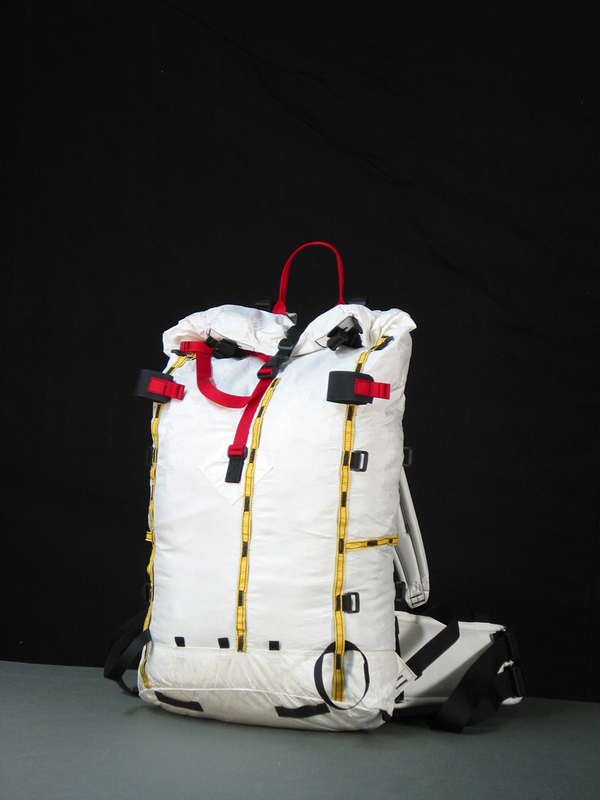 The main function the Q-Bayo serves is to allow the pack to transform through two different harness configurations, a daypack and then yoke-harness configuration. 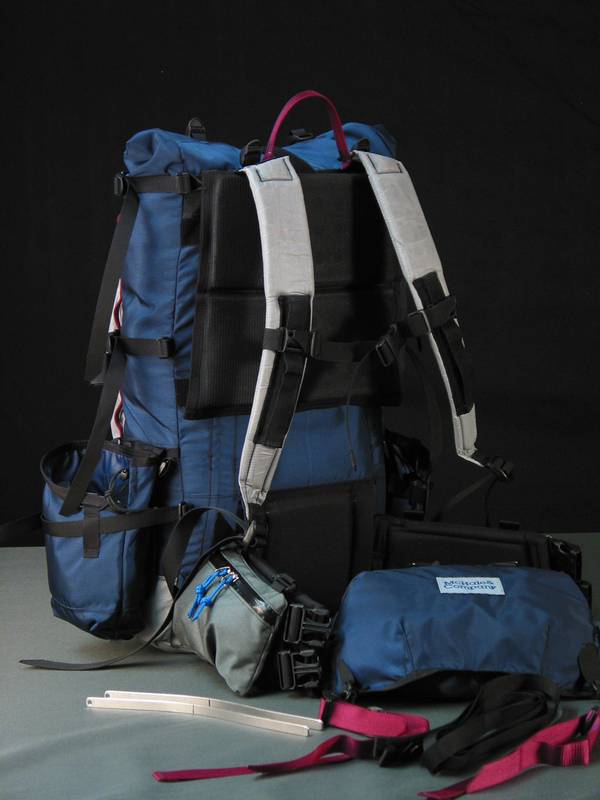 The Q-Bayo allows the pack to have 4 different frame permutation and harness combinations to allow optimum fit and versatility with different load weights and can allow people of varying back lengths to wear the same pack. 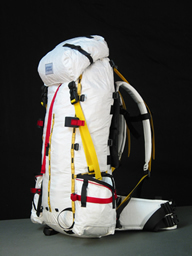 Scroll to end of page for White Spectra LBP 37 P&G. Fabric for a Full Spectra Kangaroo as shown below adds $75.00 to $795.00 normal base price. 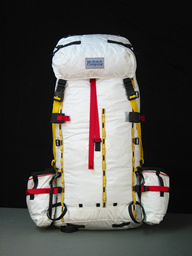 Regular fabric Kangaroo pockets are standard and included in all prices.